Scott Burridge Commercial LLP (SBC Property) are committed to protecting and respecting your privacy. This Policy explains how we collect personal data, how we use it and who we might share it with. We are a firm of specialist, commercial property advisors for vacant, trading and licenced properties, development, management and valuation. We are Limited Liability Company incorporated in England, whose registered office is c/o Bishop Fleming, Chy Nyverow, Newham Road, Truro, Cornwall TR1 2DP (registered with LL Company Number OC358576) and registered for VAT purposes with number 643 4517 43.
o	We will collect a contact telephone number to get in touch with you about organising viewings and updating you on any offers received or rental applications for your property. o	Where you are not the legal owner of the property we will request details from you as to your ability to sell or let the property such as a Power of Attorney, Guardianship Order or Grant of Probate. If you wish to purchase\lease a property we are listing for sale where you have specifically provided us with these, we will collect personal information relating to any specific access requirements you may have in relation to a property so that we can find a property that is suitable for your needs. We may also collect personal information required to source a property for you and, where required, negotiate the purchase of a property on your behalf. We will collect information required to identify you to meet anti-money laundering and counter terrorist financing requirements. If you are an entity such as a company, trust or charity, we may need to collect personal information about the controllers and the beneficiaries of the entity. o	Processing that is necessary for us to promote our business, brands and products and measure the reach and effectiveness of our campaigns. – this will include sending you marketing information from time to time after you have engaged us to provide services or received services from us either which may be similar and of interest to you or where you have expressly indicated that you would like to receive such information. You have the right to opt out of receiving this information at any time. o	Processing that is necessary to improve our knowledge of the real estate sector – this will include undertaking market analysis and research so that we better understand trends in the property sector and provide better knowledge along with more tailored and relevant services for our customers in the future. o	Processing necessary for us to operate the administrative and technical aspects of our business efficiently and effectively – this will include: verifying the accuracy of information that we hold about you and create a better understanding of you as a customer; processing for administrative efficiency purposes such as where we outsource certain administrative functions to third parties who are specialise in such services; processing for network and information security purposes i.e. in order for us to take steps to protect your information against loss, damage, theft or unauthorised access or to comply with a request from you in connection with the exercise of any of your rights outlined below. o	With your explicit consent, in which case we will explain the purpose for which the information will be used at the point where we ask for your consent. o	If you are purchasing a property we are acting as agents for the sale of or selling a property through us we will share your personal information with your appointed solicitors and the solicitors acting for the other side of the deal as is necessary to facilitate the sale or purchase. o	If you are renting a property we are acting as letting agents of, we will share your personal data with third party referencing agencies for the purposes of the prevention and detection of crime, fraud and/or money laundering and checking your suitability to rent that property. o	Where we are managing property on your behalf we may need to pass your personal information from time to time on to third party contractors whom we have engaged to carry out maintenance on your properties. o	If we sell any part of our business and/or integrate it with another organisation your details may be disclosed to our advisers and to prospective purchasers or joint venture partners and their advisers. If this occurs the new owners of the business will only be permitted to use your information in the same or similar way as set out in this privacy notice. o	Where we use third party services providers who process personal information on our behalf in order to provide services to us. This includes IT systems providers and IT contractors as well as third party referencing or screening agencies for the purposes of the prevention and detection of crime. o	We will hold your personal information on our client management systems and use this to provide you with marketing information about similar services offered by SBC Property to those which you have engaged us to provide which we feel you might find useful from time to time. You have the opportunity to opt out of receiving this information at any time. In addition to help you with a property related service we have to comply with certain regulations for example the “Money Laundering, Terrorist Financing and Transfer of Funds (Information on the Payer) Regulations 2017 (referred to as “the Regulations).” We are required to obtain certain information from you to comply with regulations. The information provided will only be used by us in relation to complying with the Regulations and will not be shared with any other party outside of our company unless we are required to do so under law. If you decide to enter in to a business relationship we will require two separate Identification documents one primary and one secondary document even if it appears on both lists. Her Majesty’s Revenue and Customs (HMRC) Inland Revenue (IR) Coding / assessment / statement (dated within the last 12 months) with National Insurance number. o	Our client files are stored on our secure client management systems. Access is restricted on our client systems to those within the business who are required to have access to your information for legitimate business purposes. o	Hard copy documentation is stored in a secure alarmed office. We ensure access to personal information is restricted to SBC Property employees and workers on a need to know basis. Training is provided to any of those SBC Property employees and workers who need access to personal information. o	Not be subject to wholly automated decisions which produce legal effects or which could have a similarly significant effect on you. 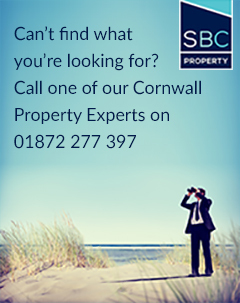 If you would like to exercise any of your rights please contact barney@sbcproperty.com. If you have any complaints about the way we use your personal information please contact the Customer Relations Officer at barney@sbcproperty.com who will try to resolve the issue. If we cannot resolve any issue, you have the right to complain to the data protection authority in your country (the Information Commissioner in the UK). If you need more information about how to contact your local data protection authority please let us know by contacting barney@sbcproperty.com. A cookie is a small text file that is downloaded onto your computer when you visit certain websites and allows a website to recognise a user's computer. Cookies are used to help users navigate websites more efficiently and to perform certain functions, as well as to provide information to the owners of the website. What cookies do SBC Property use? Cookies are used by this website for analytical purposes, no personal data is captured.